Shooting an Elephant is an essay written by George Orwell about imperialism. Orwell served as a British police officer in Burma for a number of years and disliked the ways of the British colonial system. He wrote about this experience in the two essays, Shooting an Elephant and A Hanging. He also wrote about his time in Burma in his first novel, Burmese Days. Shooting an Elephant explores the impact of imperialism and gives us the view of somebody who was against it. The British ruled Burma from 1824-1948 by taking advantage of Burma's political stability. 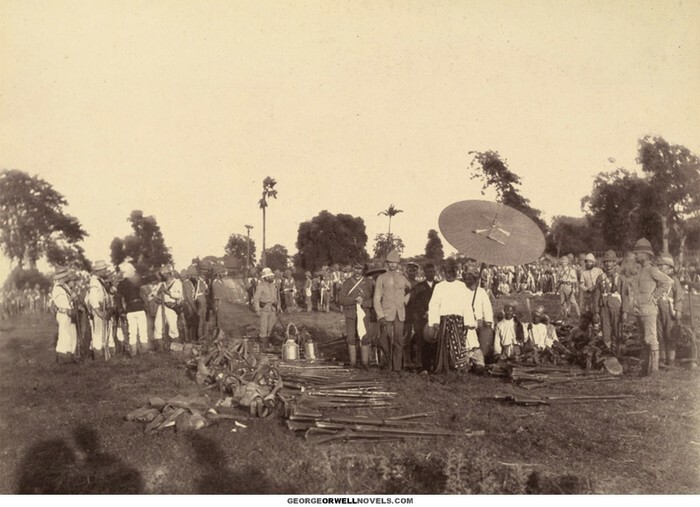 The British introduced new, foreign elements to the Burmese culture and weakened the Burmese customs by introducing British traditions. Burma took advantage of World War II to become independent. Initially they formed an alliance with Japan. The Japanese promised the Burmese that if Britain were defeated, Burma would be granted their freedom. After realising that the Japanese were not going to keep their promise, Burma made a deal with Britain to defeat Japan. In 1947 Burma was able to convince the British to give them their freedom. 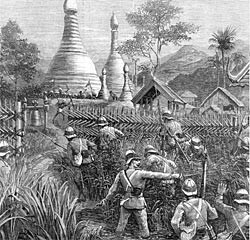 The Burmese Army surrendering to the British in 1885. The author of 'Shooting an Elephant'. This images shows the British Empire taking over Burma. Orwell's Shooting an Elephant could be classified as a primary or secondary source. It could be a primary source because it is a first hand account. The essay is about George Orwell's experience of being a police officer in Burma, and his view on imperialism at that time. Being a police officer, Orwell saw what imperialism was causing and communicated this to people through his essay, Shooting an Elephant. 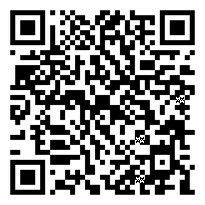 However it could also be a secondary source because it was not written during the time of the events. Unlike a diary entry, Shooting an Elephant was written after it happened, making it a secondary source. Orwell's essay was drawn from what he remembered, not what he actually saw or experienced during the time that he was writing the essay. A limitation of the source being secondary is that Orwell may not have written his memories correctly, forgetting details that could have been important. Overall I think that Shooting an Elephant is a primary source because although it was written after it happened, it was about George Orwell's experience as a police officer and is about what he saw, not somebody else. Below is the first section of an essay that clarifies that Shooting an Elephant is a primary source. In this quote Orwell is caught between two emotions. He is sure of his hatred towards the British empire, but it is hard for him to be on the Burmese's side when they make his job so difficult. Orwell refers to the Burmese as "evil-spirited little beasts" because of how little respect they have for him, acting as though the British empire are full of inhumane creatures. From this essay we can learn that imperialism greatly affected the natives. Allegorically, the elephant represents a victim of imperialism and Orwell represents the British. Orwell decides that he must not go against his empire and that he must shoot the elephant in front of a crowd of Burmese people. As the elephant slowly dies Orwell keeps shooting, trying to create a quicker death. Although this just makes things worse, similar to how the British are destroying countries when they think that they are helping them develop. Shooting an Elephant also tells us that imperialism forced people to make unethical decisions. Orwell had to go against his belief that imperialism was evil and shot the elephant to avoid looking stupid in front of the Burmese people. Imperialism not only limits the natives' freedom, but also the imperialists'. They cannot do anything that may provoke the natives. If the natives were to be made angry or upset, war may evolve between the natives and the imperialists. George Orwell shoots the elephant to keep the Burmese people happy, even though he believes that the elephant deserves freedom. There was natural conflict between the imperialists and the natives. The imperialists had taken away the natives' rights and peace with such ease, and the natives could do nothing, but watch. The natives would laugh at the British when they had the chance and thought of them as ridiculous people. The British therefore returned the hatred to the natives. This quote from Shooting an Elephant clearly expresses George Orwell's opinion on imperialism. Based on his experiences in Burma he believes that what the British empire is doing is evil and that he no longer wants to be a part of it. Being a British police officer who knows what the impacts of imperialism are, Orwell thinks that imperialism is a bad thing that should not be happening. Shooting an Elephant was written by George Orwell about his experiences to do with imperialism, and so this source does have some bias in it because it is drawn from his opinions. Although, Orwell wrote Shooting an Elephant about his time in Burma and his experience about imperialism. He was a British police officer stationed in Burma and experienced what the British empire were really doing, making this source more reliable. A limitation of this source being biased is that Shooting an Elephant only describes imperialism as a negative thing. There is no positives of imperialism explained through the essay. George Orwell saw all of the awful things that imperialism had caused and focused on that instead of focusing of some of the positives. Another limitation is that the essay does not accurately give voice to the experiences of the indigenous people. Orwell's description of the natives' situation is only based on what he saw. He was not a native himself so he did not have a first hand experience of what it was liked to be forced into being a part of imperialism. Overall I believe that Shooting an Elephant is a reliable source because it comes from somebody who has seen the impacts of imperialism. He is writing about his own experiences and not someone else's who he has read or been told about. The image above represents British imperialism. 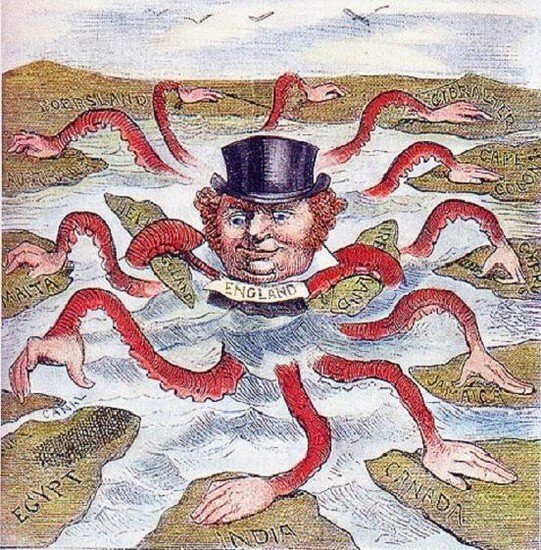 England is represented as an octopus man touching all of the land around him. This represents Britain as controlling because it has the power to own and dominate so many countries. This links back to Shooting an Elephant because it expresses how powerful and controlling Britain is over countries and people. In the image the British are depicted as a serpent which describes England as sneaky and terrifying. In the image above England has managed to take over many countries, leaving the natives without a choice but to let Britain take over their land. This relates to Shooting an Elephant because both sources describe the British as a terrible empire that is taking away what should rightfully be the natives'. "The wretched prisoners huddling in the stinking cages of the lock-ups, the grey, cowed faces of the long-term convicts, the scarred buttocks of the men who had been Bogged with bamboos - all these oppressed me with an intolerable sense of guilt." This quote explains some of the shocking affects of imperialism. The natives are treated as unworthy and useless. This part of the story expresses some of the negative impacts of imperialism. George Orwell feels guilty to be part of the British empire when they are doing such terrible things to the Burmese people. He believes that the Burmese's land should not have been taken away from them and that they should have their own rights. This source was helpful to me because it was written by someone who was a part of imperialism. 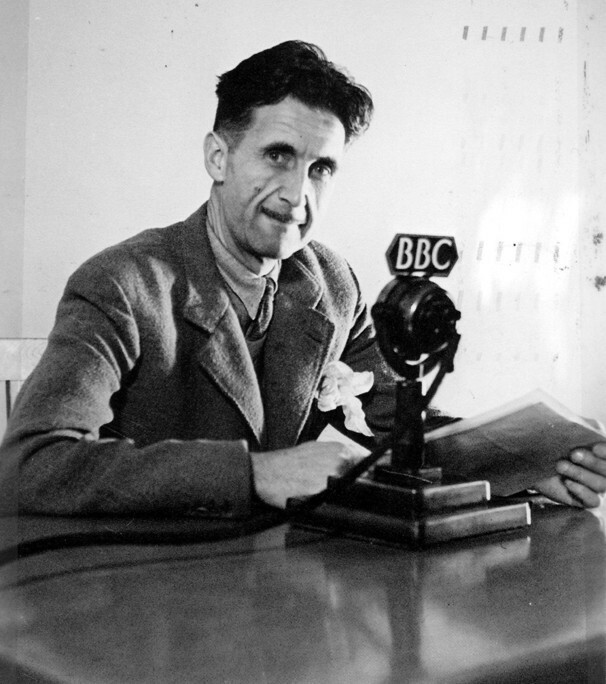 George Orwell was a police officer for the British empire, so he saw the affects of imperialism. He wrote about the impacts of imperialism on the natives, their lives dramatically changing when their land was taken away from them. Shooting an Elephant was helpful because it is a first hand account. Instead of reading a text about information on imperialism, Shooting an Elephant tells us about what it was like to be living with imperialism happening. The only thing I am wary about with this source is that imperialism is only expressed as a negative event. George Orwell does not mention any positives of imperialism throughout the essay. Something positive that he could have mentioned was that without imperialism Burma would not have the buildings that they have today. Imperialists introduced new facilities to countries which benefited them in the long run.